Hello everyone! The Westchester View is adding topics and today I have invited a guest blogger, Debbie Gartner, to help me. She has been in the flooring business for many years, and her tips on caring for and preserving flooring of all types is valuable. So this article if for both home buyers and sellers alike who want to protect this asset to their home. It’s such a great feeling when you move into a new home with new hardwood floors! But many first time home owners aren’t sure how to protect their newly finished hardwood floors. So, I’m going to share some tips that will help you preserve their natural beauty and to prevent scratches. 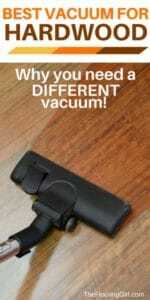 For starters, most people don’t realize that you need a DIFFERENT vacuum for hardwood floors vs carpets. And, most vacuums are rated for their suction power on carpets…and they can damage your hardwood floors. So check out this article. It shows you the best vacuum for hardwood floors. And, thankfully, it’s very reasonably priced! First, put down the broom and the mop…these can damage your hardwood floors. You broom will scratch them and a regular mop will dispense too much water, so your floors can warp. Instead, use a Swiffer or Microfiber mop. The best hardwood cleaner is Bona. 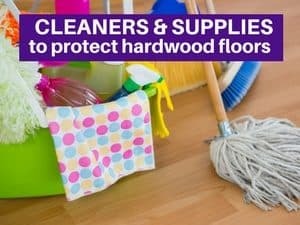 If you go to this page, you’ll find my recommendations for the best cleaners and microfiber mop, as well as other useful items to protect your hardwood floors including felt pads, doggie socks and area rug pads. And, you can buy them directly from Amazon, so it’s super easy. Also, be sure to avoid products that promise to give your floors a shine (e.g. Murphy’s oil, Orange-glo). They will temporarily make your floors look better. BUT, they will also degrade the polyurethane so you’ll need to refinish you hardwood flooring sooner. Just keep it simple and use a regular hardwood flooring cleaner. Often the worst damage comes from rolling office chairs. So, if you’re going to use one, either get an area rug or a plastic mat that will go underneath them. You can find these on above page and again buy via Amazon. This is the best thing you can do to prolong the life of your hardwood floors. It’s unbelievable how much longer your floors will last just by removing your shoes. And, your house will also be cleaner. So, wear socks or slippers and you’ll be giving your floors years of extra life. And, if you have young kids that play on the floor, they’ll be cleaner and healthier too. Here’s an important article to read if you just had your floors refinished. Make sure sure you allow enough time for the floors to properly dry before you move. How long does it take for hardwood floors to cure? This article will help you understand how long before you can walk on the floors, how long for furniture and area rugs. And, it tells you how long to wait before dogs can walk on the floors. Hardwood floors are beautiful and improve the value of your home. I hope these tips help you protect the value of your your hardwood floors so they last for years to come. For more flooring information, check out this article on How to prevent scratches on hardwood floors. This is a guest post from Debbie Gartner aka The Flooring Girl. You can find more flooring advice at her blog TheFlooringGirl.com.